As a resource teacher, I usually see my students for 30 minutes at a time and am going non-stop throughout my day. It can be a hectic schedule, and hard to take time to connect with my kids. I knew I needed to build, cultivate, and maintain strong relationships with my students in order to build their trust, and support their behaviors, but wasn't quire sure how to fit it all in. I use Love and Logic strategies with my students and having a strong relationship with them is crucial for that to be successful! 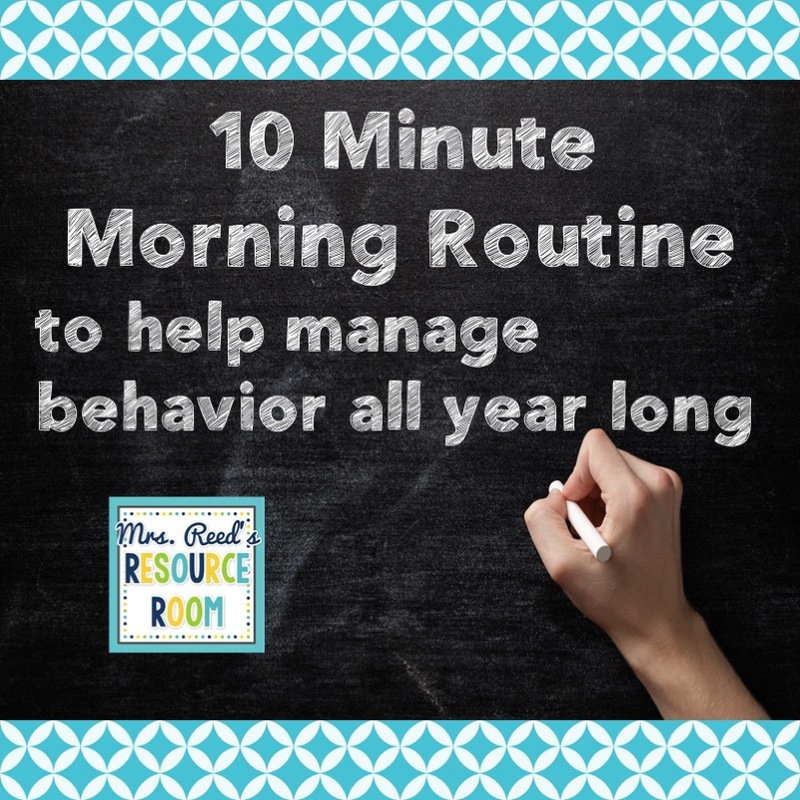 Enter my 10 Minute Morning Routine, it has been a complete game changer for me and my students. I know that my relationship with my kids helps them be successful throughout their day, as they know they are supported by a caring adult. So what does this 10 Minute Morning Routine entail? It's so simple, yet so effective. I greet my students, ask them about their nights, prepare them for any special events or changes to the day, and give them an encouraging pep talk. These few moments with each student allow me to connect daily. They also serve as a quick barometer as how our day might go- is the student sick? tired? having a rough morning? If so, I can be proactive and work to get them back on track for a successful day. I may allow them to eat their breakfast in my room, stay with them to complete morning work, or set up some check in times throughout their day to make sure they are doing okay. If they are in good spirits, we share a joke, hug, or fist bump and are off to rock the school day. I swear by my morning ritual and make sure I carve out that time each morning! I could be making copies, or preparing lesson plans, but I know that investing those few minutes in my students makes a BIG difference!